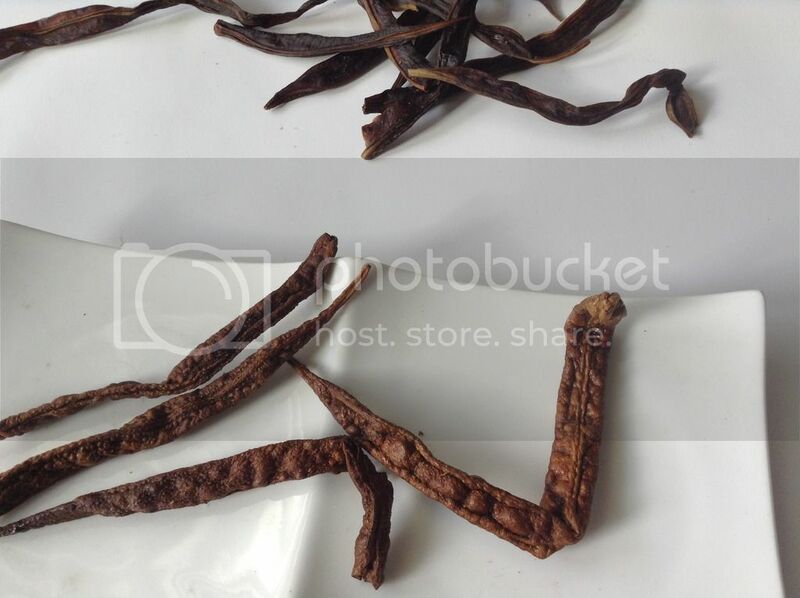 This sun dried cluster beans (Guar Phali) taste great with sambar rice / curd rice. 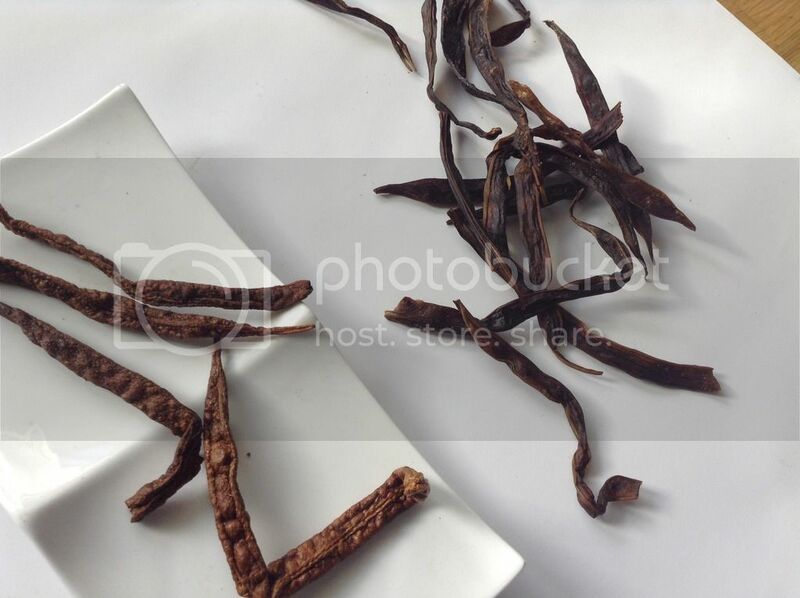 Cluster beans are first cooked in salted water and soaked in buttermilk and sun dried them for few days. Addition of chilly powder makes it little spicy which is totally optional. 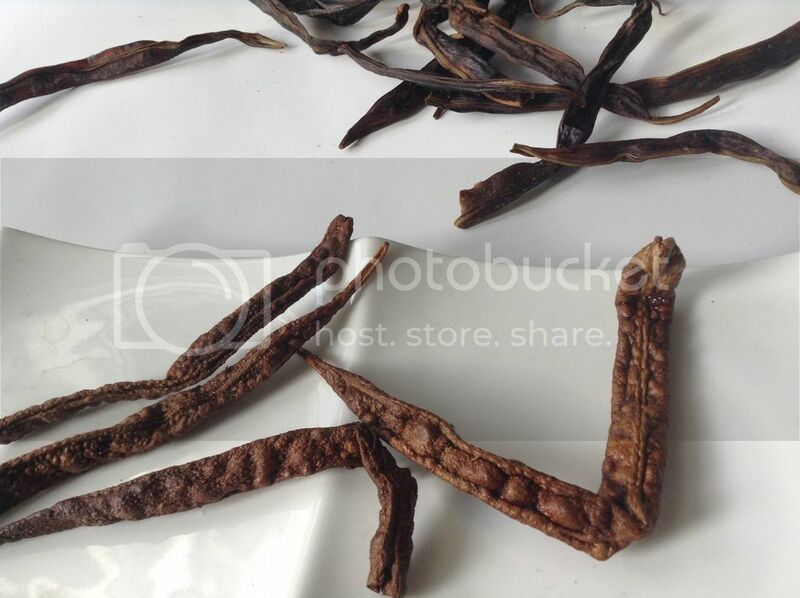 Sun dried cluster beans can be stored in air tight container for several months. 1. Clean the cluster beans and set aside. 2. Boil the water with salt. Add cluster beans and cook them for 5 mins. Drain the beans completely and dry them overnight over a kitchen towel. 3. Next day, mix together cluster beans, butter milk, chilly powder (optional) and turmeric powder and sun dry them for 4 to 5 days or until completely dehydrated. 4. 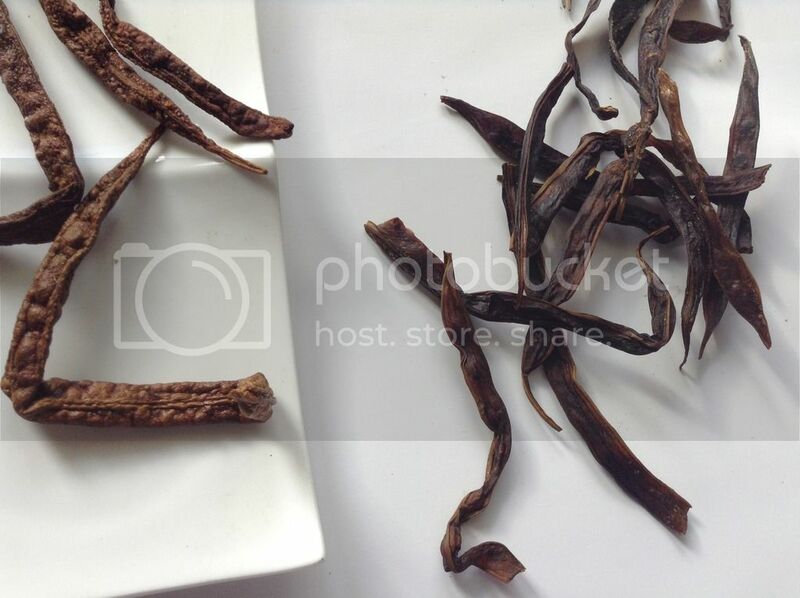 Heat oil in the deep frying pan, add the dried cluster beans and fry them. Store them in the air tight container. Homemade Black Pepper Powder !! !